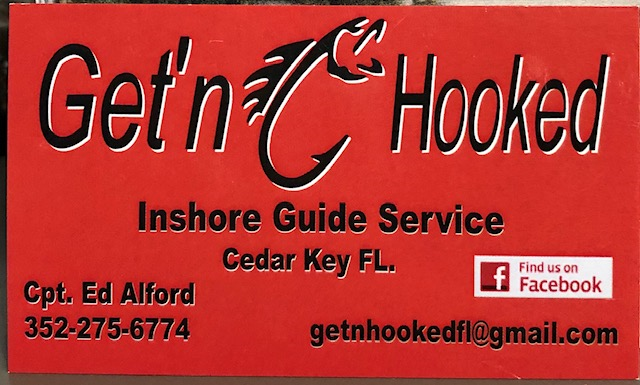 Getn’Hooked Fishing Guide Service is owned by Captain Edward Alford from Cedar Key, Fl. He has over 25 years of fishing experience in the area. We offer inshore fishing for Trout, Redfish and seasonal catch like Triple Tail and Snook in the waters around Cedar Key. Our fishing trips include: fishing license, rods and reels, tackle and bait, water, ice, separate coolers for catches and drinks. Your catch will be bagged and cleaned. We provide half and whole day trips. Please visit our website: getnhookedfl.com or call 352-275-6774 for pricing and availability.